This was my first wedding at The Falcon in Uppingham. When I met Felicity and Ross to talk about their ideas, I knew that they and their guests were in for a fantastic day, The Hotel, if you don’t know it, has a huge frontage set on Uppingham’s quaint market square. The wedding room is stunning. Elegant, bright and intimate, it is set against the hotel’s pretty courtyard terrace and gardens. The iconic little Normanton Church set on Rutland Water is one of the most picturesque locations I get to shoot at. With guests arriving by bus from The Falcon, Felicity had time with her Mum at the hotel. What no one had counted on was that the car that was to return to collect her was actually broken at the side of the road on its way to collect them! Despite the mad hat crazy car journey that followed as the Falcon’s manager stepped in to get all of us to church, Felicity never stopped smiling. 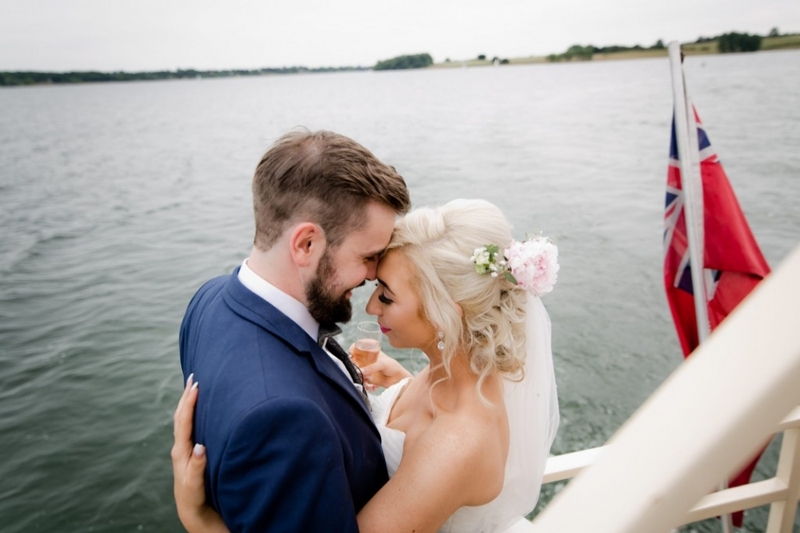 Ross may have been slightly on edge as we arrived at the edge of the water a full 30 minutes late, but he tells me that Felicity is late for everything, so why would her wedding day be any different?! And so to the coolest drinks reception of 2019. Drinks and canapes on the Rutland Belle! 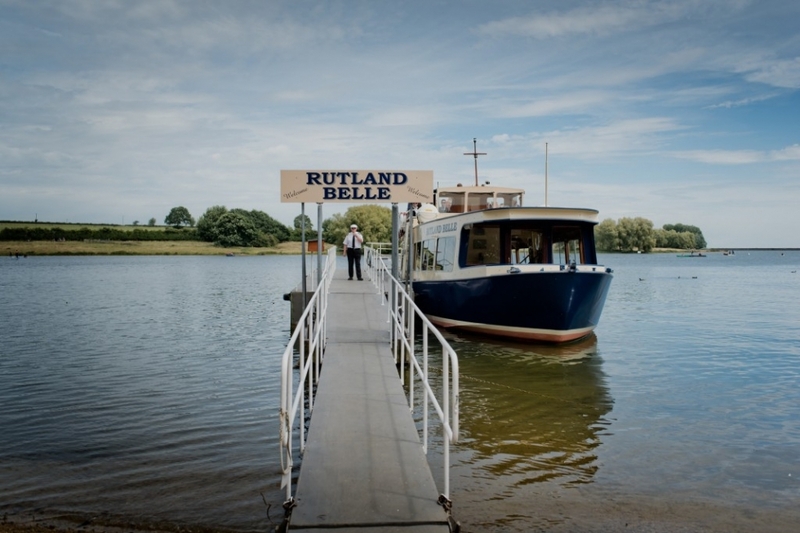 I’ve lived or worked around Rutland for a very long time, but never been on the pretty little boat that takes you from the south to north shores. Praise indeed to Felicity and Ross who managed to hold it together for some couple portraits whilst being heckled by family and friends from the upper deck! 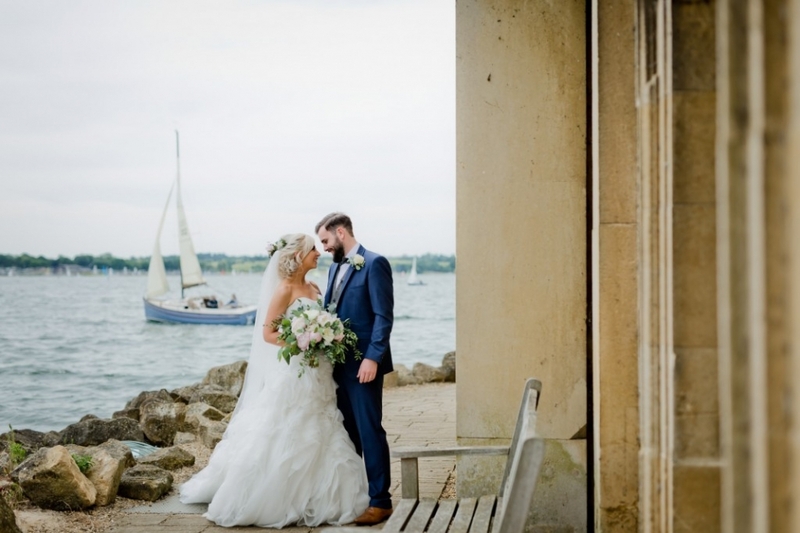 Felicity & Ross, thank you so much; not only for choosing me as your Uppingham Wedding Photographer, but for being the coolest couple, going with the flow, and being up for dangling precariously close to the back of the boat.